Trout Lily Garden Design is committed to incorporating native plants and sustainable design into the creation of glorious gardens. We design gardens that become an integral part of the landscape, encourage the presence of birds, butterflies and pollinators, and reflect the lifestyle and aesthetics of our clients. We understand design and we know plants. 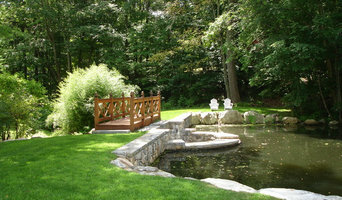 We work closely with our clients to make sure that every garden belongs to them and their property. Whether we are working in New York or Connecticut, our gardens are beautiful, unique and alive. 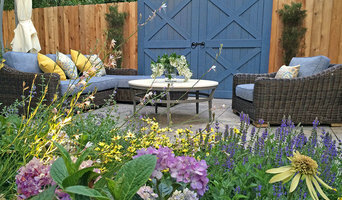 Let us help you to invite nature into your garden. 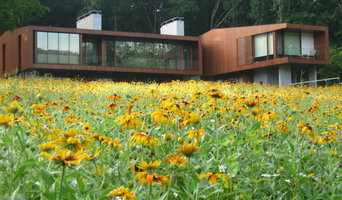 Louis C. Fusco is the principal of Louis Fusco Landscape Architects, a privately owned , award-winning, full-service landscape architectural design office located in Pound Ridge, NY. Known for his site-sensitive creative designs, implemented with the highest attention to detail, his award winning projects have been featured in landscape journals and magazines. His firm has created some of the most spectacular private estates and gardens of Westchester and Fairfield Counties, Northern New Jersey and Long Island, in addition, to innovative parks, playgrounds, rooftop gardens and university campuses. Louis was recently awarded the 2016 CT Cottages & Gardens Innovation in Design Award 1st Place for Landscape Design. He was also awarded the 2014 CT ASLA Jury’s Award of Excellence for “Rustic Meets Modern”, a residential pool project in Armonk, NY, as well as the 2014 ASLA Honor Awards in CT & NY in Master Planning for his on-going work at St. John’s University. 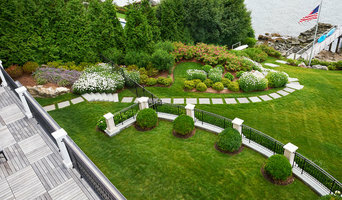 We specialize in landscaping design, installation, and maintaining uniquely beautiful properties in Fairfield, Westport, Weston, Wilton, New Canaan, and Darien. We take a unique approach to our customers. We take a unique approach to your property. We take a unique approach to business. Having spent 17 years in the corporate technology development world, I realize that with any contractor working around the house, getting information at the right time as it is about beauty, comfort, and peace. We can help you make your home an oasis of peace and relaxation. Surrounding yourself with natural beauty is food for your soul. Angela draws inspiration from nature when working with you. Please visit the website and see for yourself. We look forward to hearing from you.